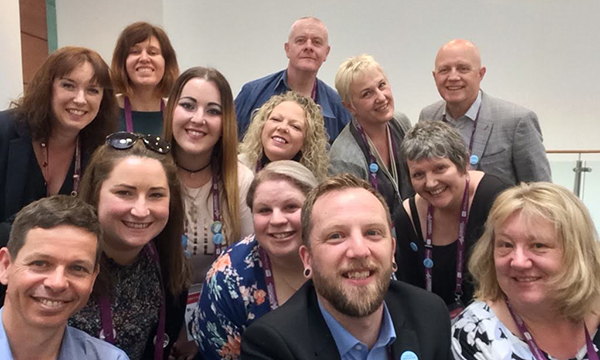 At RCN congress in Belfast in May members of the college’s mental health forum had an impromptu meeting to discuss the state of the profession. Mental health forum members: Back row: Angela Kerslake, Jeremy Davies. They talked about how much they enjoyed their work, the challenges they face in a system that is creaking around the edges, and how the forum is working to improve the system for nurses and their clients. ‘In my job I do talking therapies with mothers in the mother and baby unit, and the thing I love most and that inspires me every day is the effect that just listening to somebody describe their experience has on their mental health. ‘I have the honour of looking after people at the end of their lives who have the challenging condition that dementia is. ‘It is hell. I’m a staff nurse on an older person’s acute ward. We are in a situation where we never have enough beds. On an over-65s acute admission ward we have had people as young as 19. Mr Davies said that the expected six-week admission and assessment turnover period has become meaningless because one patient has been on the ward for two years because a lack of alternative placements. 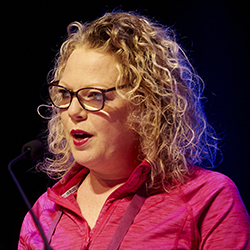 While all the forum members were keen to talk about the positives of their roles, it is obvious that the reality of front-line nursing weighs heavily on their minds. We know that mental health services are under great strain, with reduced numbers of registered nurses, pressure on beds and high levels of acuity among the patient group, especially those in hospital. ‘The cuts to the service have been absolutely astronomical and the impact it’s had on patient care is unbelievable, and we have another round of cuts to come. But it’s short sighted – our substance misuse patient group are quite chaotic with a multitude of physical and mental health problems alongside their substance misuse. How does a 12,000 member forum influence the situation? Talking to these nurses it is clear that they love the jobs they do and are passionate about doing them to the best of their ability. But most are finding themselves in a very difficult situation. How does the forum, the RCN’s largest with nearly 12,000 members, influence the situation? 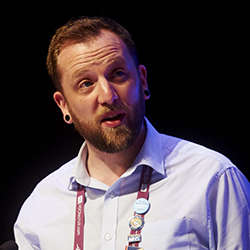 One step it has taken was to shape the RCN’s work over the next 12 months via its RCN Congress resolution on therapeutic staffing , making the point that ‘safe’ or ‘minimum’ staffing is not acceptable in mental healthcare settings. 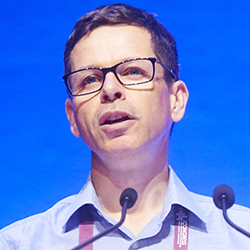 Ed Freshwater said: ‘Mental health nursing is not about containment. Our skills give us the ability to treat people and not just moderate symptoms. So being able to do our job is what that resolution was about. But to get to that point we have consulted with our members. 'We got hundreds of responses and obtained a good idea of what issues were preventing them from doing their jobs. ‘I could get stuck in this ivory tower of “we’ve got the Five Year Forward View, and all this money and isn’t it fantastic? And we train all these lovely people”. But it’s great to hear from my colleagues that in the “real world” this is what you are looking at, and this is reality. 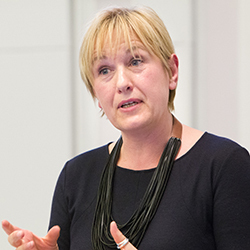 ‘All of the things we have spoken about today represent inequality: inequality of staffing, inequality in the resources necessary to drive safe and therapeutic responses to people in mental health distress, inequality in black and Asian minority ethnic communities around how they are treated and responded to. 'Staff on the ground will tell you that they do not have the resources they need to do the job that they trained for. What they end up doing is containing and holding and managing resources.